According to SafeBee.com, recent reports and social media posts are advising homeowners to use a zip tie to secure their door release mechanisms on the emergency latch present on automatic garage door openers. Although the advice is meant to help reduce burglaries, SafeBee.com says the practice can put homeowners in danger. Using a zip tie to “lock” this mechanism basically removes this safety feature from the door operator system, putting homeowners and others at risk, as the safety function may not work when needed. Although reports recommend the addition of the zip tie to avoid garage break-ins, those reports leave out the important safety function that may be disabled by doing so. Never interfere with or defeat the manual emergency release mechanism on your garage door operator. Check with your garage door opener dealer or retailer to see what other safety or security features are available for your particular opener or door model. Consider adding an automatic lock, if available, for your opener. Always lock the entry door between the garage and your house, and any other door or windows that may be in your garage. Consider arming your home or premises with a security system. Do not leave valuables, such as bicycles, tools and equipment, visible from an open garage. Do not leave the garage door transmitter visible in your car, and keep car doors locked if a transmitter is inside the car. 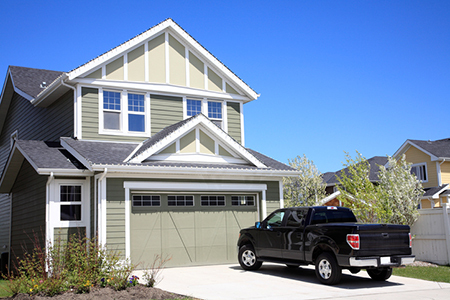 For garage doors with windows, use a frosted glass coating, if possible. Finally, if your garage door operator has this feature, enable “vacation mode” when leaving home for an extended period of time, which locks out remote controls from activating the door.